Boat handling to 30 feet or 10,000 lbs. MOST aspects of sailing yacht and sailboat rigging. Mast stepping, rigging and assembly. Running rigging, halyard/ sheets splicing. Headsail roller furling & mainsail handling and furling systems. Repair and replacement of masts, booms, spinnaker poles etc. Installation of knot meters, depth sounders and wind systems. Diesel engine maintenance and repairs. Sail repairs and winter cleaning service. Deep water mooring field with member mooring launch service right to your boat. 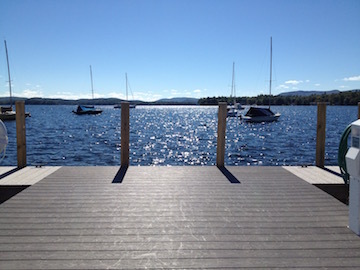 ​Sail right out of Wolfeboro Bay into the wide open waters of the Broads.